Home » Health » Oral Healthcare » Will you Benefit from Dental Composite Bonding Treatment? Will you Benefit from Dental Composite Bonding Treatment? Tooth bonding with composite and veneers seems like an unconventionally fulfilling method to get rid of all your teeth problems. Tooth bonding is of two types as veneers and composite resin. Composite is inexpensive and easy to apply compared to veneers. There are some uses of the composite, ranging from filling gaps between your teeth to covering chipped teeth. It is a highly esthetic cover up for all your dental problems. But the question here is if composite will benefit you or not. Composite bonding benefits people who have healthy gums and minor gaps between their teeth. If you have severely misaligned loose teeth with swollen and infected gums, you need to treat that first. Bonding is a procedure where the dentist applies a tooth-colored plastic material (dental composite) to repair a decayed, chipped, fractured or discolored tooth. Veneering is another method of dental bonding other than composite. Bonding is of two types depending upon the requirements of the teeth. This specific type of bonding involves composite resin application along with a reduction of the teeth under treatment. It is just topped off on top of a broken tooth. It is an inexpensive and faster method than veneering. The spacing between your teeth is always a reason to see your dentist and discuss treatment options. A tooth bonding for gaps is a suitable treatment in most cases. It is a less invasive and fast method to fill minor gaps when compared to conventional orthodontic treatment. Composite and veneer cover up all stains on teeth. Teeth bleaching is another option but involves chemical treatment and bonding last longer than bleaching. 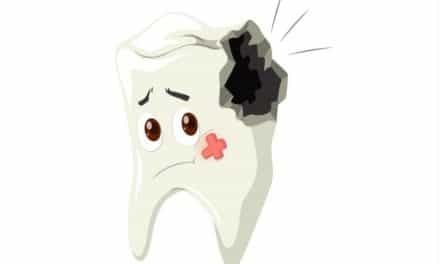 If you see a part of your teeth chipped off, broken or fractured you can see a dentist because bonding will save the tooth from further damage. Decayed teeth need correction with tooth-colored composite for esthetic reasons. Mismatched and misaligned teeth can look better by reducing the natural teeth and covering them up using composite or veneers. Although tooth bonding is a solution for tooth gaps but also it is essential to know if it is right for you. Your teeth must be free of misalignments and crowding. There should be enough space for the composite to flow and retain structure. If there are small gaps here and there between a few teeth, the composite is sufficient to get rid of them. Proper shade match and tooth conditioning is a necessity in such cases. Healthy gums equal to healthy teeth. Healthy gums and teeth are always the most acceptable oral conditions to receive composite. Your teeth should be firm in the socket. Firm teeth have a long lifespan of the composite. 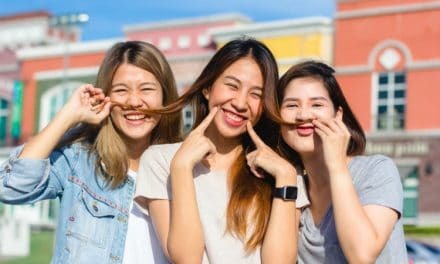 Who all won’t benefit from dental composite technique? Misaligned and crooked teeth are always a contraindication for composite. If you have crooked teeth, first go for orthodontic correction and then composite. Gum infections make it difficult for the composite to retain on your teeth. Continuous bleeding and exudation is an absolute contraindication for composite bonding. Loose teeth are painful to bond. If you want composite on teeth that are loose, you have to go for splinting first. Once the teeth are stable, composite might help. If you have a habit of nail biting or teeth grinding, composite may not help you at all. You may chip off your natural tooth if you have these habits. Therefore, it is safe to say that composite benefits you well if you have healthy teeth and gums. If you have teeth grinding habits, misaligned teeth, loose teeth or gum problems, then the composite is not for you. But, you need not worry about either of the problems mentioned above as well. All these conditions can be treated efficiently and adequately with orthodontics. Once the underlying problem is gone, you can go ahead with the miracle white composite treatment for unesthetic teeth. Toothache During Pregnancy – How to Avoid Them?